I suppose by now you guys may have surmised that this holiday season I'm crushing on the Kindle Fire HDX. And why not? As reader/tablets go - this one is tops in user-reviews. 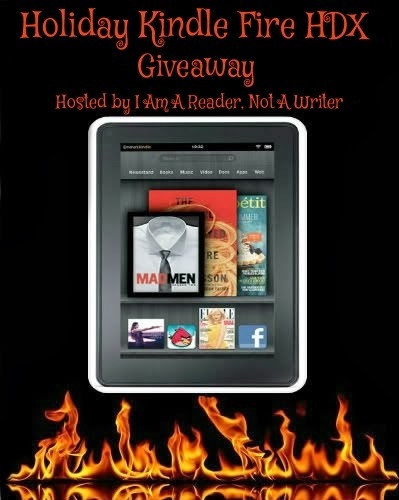 So I'm sharing in another giveaway hosted by my fave blog hop hostess, Kathy: http://www.iamareader.com/2013/11/holiday-kindle-fire-hdx-amazon-gift-card-or-paypal-cash-giveaway-229-value.html. 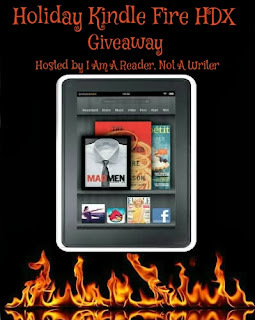 These contests are super-fun and I'm so happy to take part! There is also the opportunity to win some cash, too! With December looming - who couldn't use a little bump in the wallet? This time around I'm asking you lovely folks who drop by to sign-up for release notification of my New Adult/Mystery novel THE MAKING OF NEBRASKA BROWN which is nearly ready to be hatched! Yikes! We are getting SO close now, gang. I can practically smell the corn basking beneath that pretty Midwestern sky. I can nearly taste the sweet Italian wine. Wondering why? You will be! You will want to know more about Ana - or is she Ann Leigh? Her story will keep you guessing, and hopefully keep you entertained. This isn't just a book for the young readers out there. It's a mystery/suspense for all ages. Check out the trailer below to get a glimpse of what TMONB is all about. I'm totally looking forward to this book!